Posted on 03/07/2015 under Recipes, Treats & Desserts. Looking for a sweet treat without refined sugar? 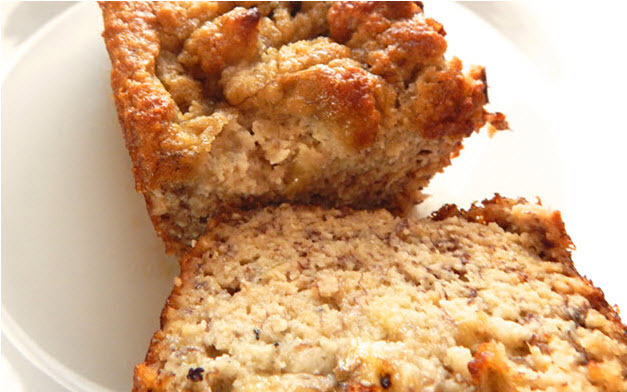 Try this gluten free banana bread and indulge that sweet tooth without the guilt. Try adding a few scoops of your favourite protein powder (vanilla works best) to the mix and add pack more macro nutrients to this tasty treat. Place in the oven for 1 hour (check at 45 min mark – baking times may differ depending on oven. Insert knife into center. If knife comes out clean, banana bread is done!). Put some butter in a pan and fry the bread on both sides until brown – then ENJOY!